All of our history gets glossed over and given an acceptance as “True” when in fact it is only superficial and blandly commercial. What a loss. Some unusual people do occasionally come around to bring history back from the dead with their ironic and humorous tales about how things really went down. If Charles Loring Elliott was a writer he would have been one of those – another Washington Irving or Charles Dickens – however he turned his life to pursue portrait painting instead. Stories and theatrical speeches fascinated Elliott. He was a reader and fan of the dramatic. He had beautiful handwriting and draftsmanship. Though he never went abroad to study all indications are that he was quick to stretch his horizons and explore the countryside around him. He was a fan of Washington Irving, James Kirk Paulding and the Salmagundi group that produced the first “Hudson River School” with their tales and fabled stories of the the old Dutch Colony. He also loved Rembrandt and Shakespeare and was known to quote the Bard often and I’m sure it wasn’t lost on him that New Netherland was founded in the lifetime of those two giants. He came along two hundred years after them and now another two hundred years have passed. Today a tourist in New York with a good imagination can still get some feel of the distant place. Research and study helps. The Island at the Center of the World is a good place to start and if you can take the train down from Albany along the Hudson River with a view of the Catskills you will definitely get into the mood. While Elliott was an explorer with a merry band of friends (who said he looked like Shakespeare) he accomplished an enormous amount of excellent work – over 700 commissioned portraits in his 30+ year career. By 1868 he was America’s most renowned and respected portrait painter and the natural heir to Stuart, Sully, and Inman. His death was a shock and widely reported in the national papers. He lay in state at the National Academy of Design and his wife left personal items of his to the Academy. 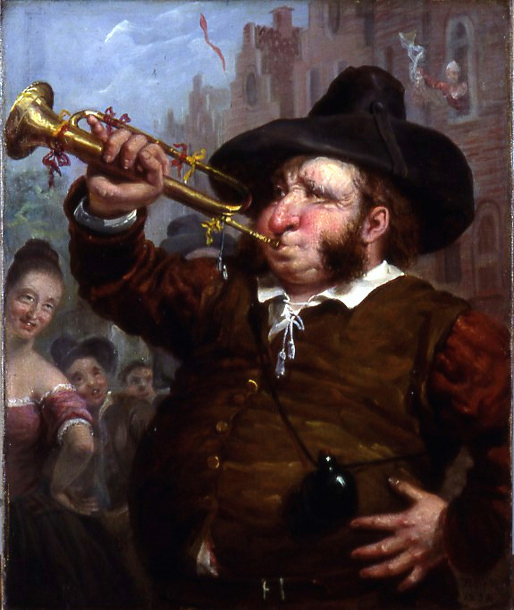 He chose in life to pursue a difficult and challenging profession that was soon to evolve, after he was gone, into very different styles and techniques due to the rapid advances of photography. There have been other great portrait painters since 1868, (Sargent, Celia Beaux, others) and a lively portrait is always a surprising welcome to stumble upon in a collection. In America portraits based on photos spread rapidly in the second half of the 19th C. and there are so many dark “deer in the headlights” , “you got me” images hanging in historical societies and museums that I have to believe it was a style the public was either sold or came to admire as part of their Victorian tastes. Elliott was born on the “frontier” probably in a log cabin or plank home in Scipio south of Auburn in 1812. At that time this area of central New York was still contested by the British and their allies and would be until after the war finally ended in 1815. Scipio is close to the heart of the Cayuga Nation and the landscape he was born into would have been of very healthy forests, lakes and also surrounded by the evidence of the long history of the Cayuga nation in this area. There were large cleared fields, orchards and many and village and “castle” sites in the area. Sullivan’s army saw the quality of the land and lakes in 1779 and were quick to spread the word back east. Auburn started to boom as a crossroads and supply town for westward expansion as the Genesee country and lands farther west were opened up. What Elliott did for education and study is unknown but his father is said to have prepared him to be a draftsman in the building trades. The family moved to Auburn and then on to Syracuse undoubtedly following the construction industry. The Erie Canal opened in 1825 and passed through Syracuse bypassing Auburn. Elliott tried the family trade but became determined to study art – and with “rapid transit” via the Erie Canal at hand he was off to New York City to study by age 17. He stayed in the city for about two years, 1830-1832, and there is an account of these years that was published after his death by one of his companions and best friends who was with him at the time – the writer and fellow artist Thomas Bangs Thorpe. The two met at Quidor’s studio and by chance ended up there on the same day and time both looking for a place to work and study. Thorpe says they hit it off immediately and the eccentric Quidor allowed them to stay and use his studio. Quidor was an opinionated and lively mentor for the two youths who observed the great artist, when not painting “fire engines and banners”, lying flat on his back on a wooden bench in the middle of the room. Quidor was an illustrator and painter of Washington Irving’s Knickerbocker Tales and has been called an “an original genius”, among other things, by art historians. New York also had malaria, yellow fever and cholera especially in the warmer months. Brought in by sailors and spread in unknown ways, these illnesses were devastating and killed people seemingly at random. They caused great fear to all who lived in the city and people of means often escaped to the country for safety – New Jersey and Long Island and up the Hudson. There was a terrible Cholera epidemic in 1832 that killed thousands. Elliott and Thorpe both left the city that year. 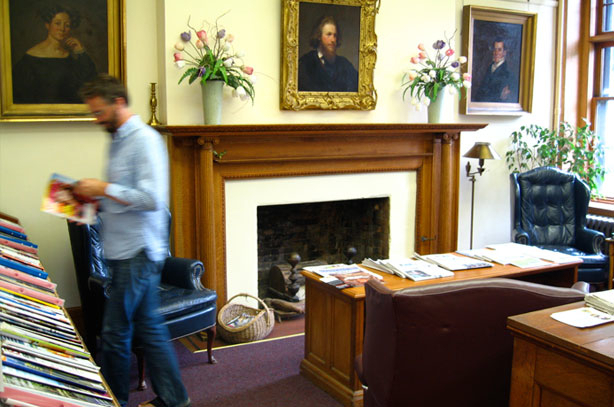 Before leaving Elliott famously secured an appointment with and showed some of his work to the auspicious Col. Trumbull, hero of the Revolution and also curmudgeonly dean of American Art. The results were predictable. 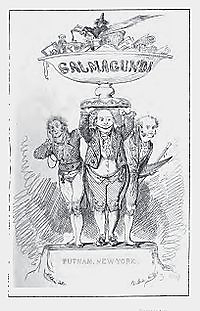 “After his return to New York in 1816, he (Trumbull) was appointed director of the somnolent American Academy of Art, which he regarded as a personal monopoly. Instead of rising to his position as the leading figure of his profession in America, Trumbull became the enemy of his fellow painters and a caustic discourager of the young. The first war between generations waged in the story of American painting was fought by the young New York painters to rid themselves of the incubus of this bitter old man.” From American Paintings at the Met Catalogue of the Collection 1965 by Albert Ten Eyck Gardner and Stuart P. Feld. In 1832 Thorpe went southwest to Baton Rouge for health reasons and Elliott returned to Syracuse determined to pursue his art. Back in Syracuse Elliott worked for his father but also kept up his work in portraits and by early 1834 Barrow notes that a prominent Skaneateles family was looking for a portrait painter and young Elliott from Syracuse was recommended. He moved to Skaneateles and concentrated on portraits for the next four years. 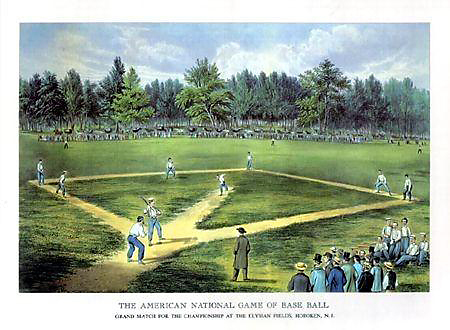 John D. Barrow the Skaneateles artist who met and befriended Elliott years later presented a paper to the Onondaga Historical Association in February 1897 on Elliott in Skaneateles describing these formative years in the artist’s life. Elliott found the lakeside town to be fruitful and prosperous. The village was also close to the thriving city of Auburn, his “home” town, that had become an important and influential place. Skaneateles is 7 miles east of Auburn and at the junction of two turnpikes. Elliott finished over 90 commissioned portraits while living in Skaneateles and yet Barrow says he was not fully employed and had time to camp and fish up and down the lake, go exploring, work in the carriage factories and generally hang out around town. He didn’t keep a journal but he later did make a list of all of his commissioned portraits from those days indicating who the sitter was, where they were from and how much he was paid. A copy of Elliott’s Journal exists at the National Academy of Design. Auburn had artists and artists passing through it doing commissioned work. Randall Palmer, an excellent portrait painter who is said lived and worked with a real flair, was in town in those days. The Utica artist Frederic R. Spencer also painted portraits in the area and Elliott probably learned from both of them. He at least would have been aware of their work around town. 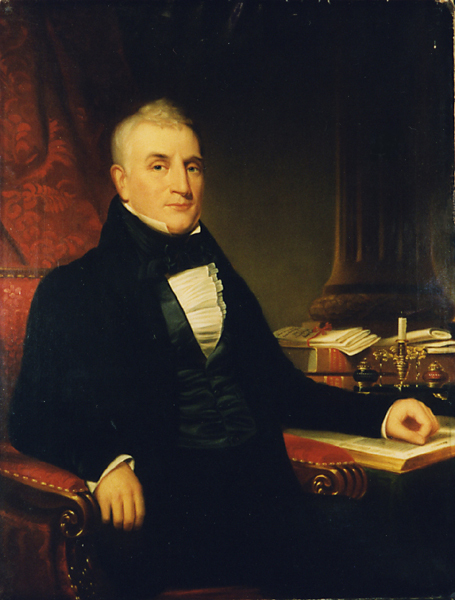 In 1837 Elliott did a very competent copy of Spencer’s portrait of Daniel Kellogg that exists today in the Schweinfurth collection in Auburn. 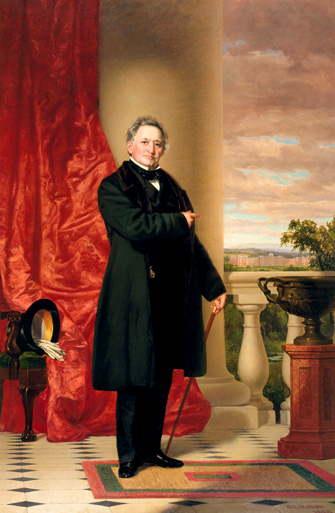 Later Elliott met and become friends with Spencer and painted the artist’s portrait now in the National Academy collection. 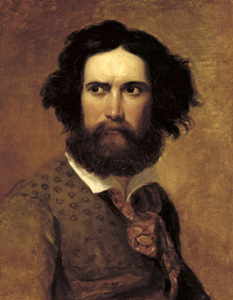 Randall Palmer died young, in the early 1840’s but left an influence on our upstate portrait painters. In 1838 Elliott submitted his first work to be accepted to the National Academy of Design’s Annual Exhibition. He listed his address as Skaneateles, NY. After his success in getting a portrait into the 1838 show he moved to the city and had two accepted the next year, but listed no address. 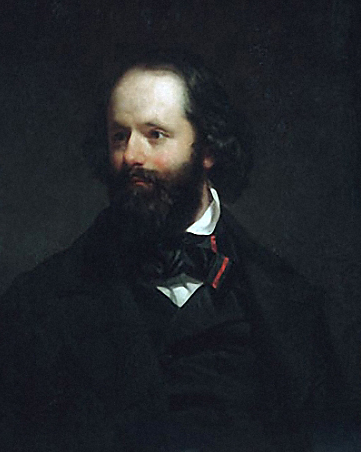 In 1840 with an address on Broadway he had four paintings accepted. In 1844 he exhibited five paintings, in 1845 seven, 1846 six were accepted and an Associate membership was awarded and in 1847 he was elected a full membership which he retained until his death in 1868. His friend Thomas Bangs Thorpe also returned to New York in the 1840’s and continues with his narrative of Elliot’s life from which many of the following incidents are related. After the death of Henry Inman in January 1846 it was predicted that Charles Loring Elliott would become the premier portrait painter in the country and this came to pass. In the fall of 1845 and knowing Inman was in failing health Elliott and Thorpe visited the artist and Inman himself made the prediction to Thorpe while Elliott was out of earshot. 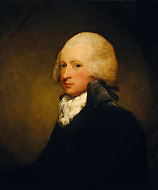 Both Barrow and Thorpe note in their biographies that Elliott purchased and prized a noteworthy Gilbert Stuart portrait of a gentleman and he kept it close and used it for study and inspiration. Gilbert Stuart’s Portrait of Dr. William Hartigan now at the National Gallery. Thorpe tells an amusing story about this saying that Elliott got a surprise visit one day from and old “friend and companion” from upstate who arrived with a demand for $50 owed him and a threat to call a collector if not paid. The story goes on that Elliott told his friend to come back in a week or so and he could either have the money or call the collector. Thorpe indicates his friend really wanted the Stuart portrait, not the cash, and hired a constable to seize it. When the constable arrived Elliott was busy painting at his easel and didn’t get up. The collector had a description of what he was after “a gentleman with powdered hair, looking for all the world like George Washington”. He saw the painting, grabbed it and the papers were filed noting the discharge of the debt. Paid in full. 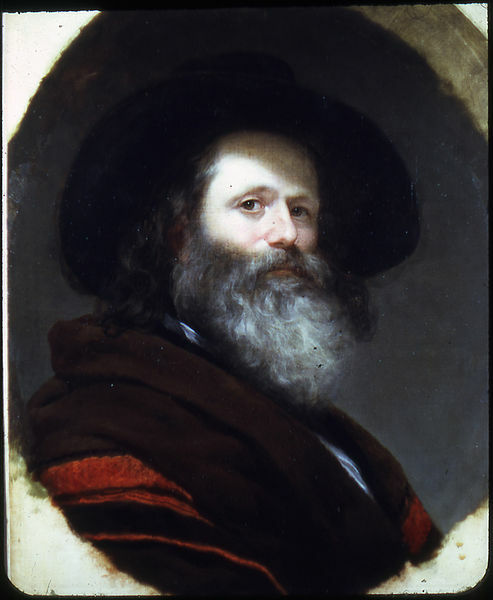 Two artistic influences he himself spoke of were the chiaroscuro effects shown in good Daguerreotypes and the powerful etchings of Rembrandt. Samuel F.B. Morse had introduced Daguerreotypes to New York in 1834, on his return from Paris, and though some artists saw them as death to their profession Elliott had the wisdom to really look and appreciate the magic of the craft and admire the medium. Although there were few, if any, of Rembrandt’s oil paintings to study in the city his etchings were available and Elliott took notice. Elliott would proceed to paint over 600 more portraits in his lifetime after moving to New York from Skaneateles. He did some traveling to do this but maintained a studio in New York or across the river in Hoboken. The sitters included the Vanderbuilts, James Fenimore Cooper, Fletcher and John Harper, Matthew Vasser, Matthew Brady, Henry Wadsworth Longfellow, Henry Inman, William Sidney Mount, Gov. Enos Troop, William Henry Seward, Zadoc Pratt, F. R. Spencer, John Fremont, and Asher B. Durnad. There are confilcting accounts on whether he ever painted Grant, his biographer Thorpe says he missed Grant, Johnson, and Daniel Webster. Some are visible here. 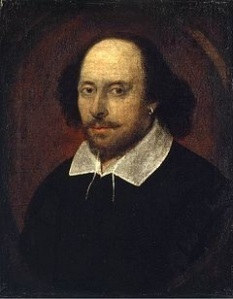 He also continued to paint a few amusing scenes from literature – either Shakespeare or the Knickerbocker Tales and a few of these pictures are found among the Academy Exhibition records. It was a shock to the art world when Elliott died in 1868. He lay in state at the Academy. Various tributes to him were submitted to the papers. Thorpe, the writer, published his long reminiscences of his friend and suggested that the first statue of any artist to be placed in Central Park should be of Charles Loring Elliott. Elliott left a wife and one son, however records of his family life are not extant. His wife left some of his personal papers and palette to the Academy. There were published comments that said he had been happily married. From Gilbert Stuart to Sully and Inman and then on to Elliott – the great portrait painters of young America were now gone. By 1868 the industrial revolution was in full swing and completely changing a world that hadn’t really changed that much since the days of Rembrandt, Peter Stuyvesant, and Washington Irving. Things were now very different. Many portrait artists learned the trick of actually capturing a photo image of the sitter on a sensitized canvas by the mid 1860’s and then coloring it in. Many hired assistants to do the coloring. This style became popular and the dreary images go very dark brown as they age are to be seen all over upstate New York. As with many of his contemporaries Elliott also has his own Daniel Webster story. It seems he was called up, finally, to paint the great man’s portrait. Thorpe says he saw Elliott leaving the city with a large rolled canvas under his arm for the project. On arrival at Daniel Webster’s residence late in the day he was invited to chat over brandy and ice water. The chatting went on late into the evening, and then through the next couple of days apparently to great amusement of both artist and sitter however with no start to the portrait commission. Then Webster was suddenly called back to Washington by the President and no portrait was ever done. Thorpe saw Elliott on his return to the City days after he left and related the story in his memoir. There are also references to Elliott’s retreats across the river to Hoboken. He would apparently pack up and escape the city for various reasons at the drop of a hat. One incident was trouble with a young lady writer who was haunting his studio. Hoboken was just across the river, one quick ferry trip away. It was the home of Sybil’s Cave and the Elysian Fields. Sybil’s Cave had a natural spring that was opened in 1832 and visitors came to pay a penny for a glass of water which was said to have medicinal powers. In 1841 the cave became a legend when Edgar Allen Poe wrote The Mystery of Marie Roget about an event that took place there. It would be nice to think of Elliott across the river sipping his glass of spring water and catching a baseball game out on the Elysian Fields and thinking about Poe, or Prince Hal, or Henryk Hudson sailing by with the crew of the Half Moon heading upstream. I have just received your note, and probably to your astonishment, proceed immediately to answer. Bob I’m afraid I should not be able to send the picture by Mr. Derby – since you left, I’ve done but little work – fact is “I vas s-e-e-k”! “H’sar” on securing the maul stick and pallette, I’ll attend at “onst” to little ‘Wally’s” picture, and complete it as soon as possible, say next week. “Clarcke” I’ve not seen since you left – wonder how he got over that “d’venck”!! poor us!! Clark and me, I mean, you’re safe, you shouldn’t be though if you were here, think so? – My kindest regards to yourself and family, my wife desires particularly to be seeing our amis – my regards to Leutze, and McGinne..(?) and Rob for once give some credit for promptitude in a reply. P.S. Isn’t this fine from John Adams I saw it yesterday. “Human happiness has no perfect security but freedom; freedom none but virtue; – virtue none but knowledge; and neither freedom, nor virtue, nor knowledge has any vigor, or immortal hope, except in the principals of the Christian faith and in the sanctions of the Christian religion.” I would commend the above to Jeff Davis. Floyd & Co. C. L. E.